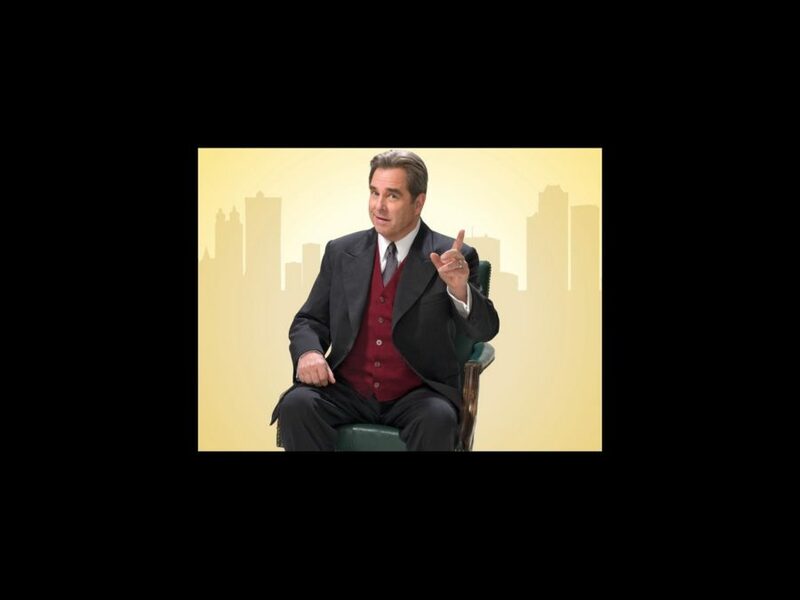 Beau Bridges may be new on the Broadway musical scene, but this show-biz vet has more than a few theatrical productions under his belt. Bridges debuted on the Great White Way 45 years ago in William Inge's Where’s Daddy? and made a foray into musicals in the 2009 Hollywood Bowl production of Guys and Dolls. He co-starred with his brother Jeff in the 1989 hit The Fabulous Baker Boys and won Emmy Awards for Without Warning: The James Brady Story, The Positively True Adventures of the Alleged Texas Cheerleader-Murdering Mom and The Second Civil War. Now featured as George Clooney's hippie relative in the Oscar-bait drama The Descendants, Bridges is making his Broadway musical debut as big boss J.B. Biggley in the hit revival of How to Succeed in Business Without Really Trying. Broadway.com recently chatted with Bridges about being in charge, keeping in shape, and turning a new generation onto Broadway. What did you think of J.B. Biggley, the character you play, when you first saw the show? Rudy Vallee played [J.B. Biggley] both in the original play and in the movie, and I just remember really loving him. What appeals to you about the character? How did you get involved with How to Succeed? The producers had seen me in Guys and Dolls at the Hollywood Bowl with Jessica Biel and Brian Stokes Mitchell. I played Arvide, the minister. And that, of course, was also written by Abe Burrows and Frank Loesser. Abe Burrows is my favorite writer of musical comedy in America. But it’s a daunting challenge to jump into something like this. I haven’t done a musical since college. You also played basketball in college. Has your sports experience helped you adjust to the dancing you’ve been doing? I’ve always enjoyed athletics and that helps me. I’ve worked really hard to get in shape physically for this experience. My daughter Emily is a Pilates instructor, so she helped me get ready. What has the energy from the audience been like? Oh, they eat it up, they really do. I think the same thing was happening when Daniel [Radcliffe] and John [Larroquette] were in it. It’s just a wonderful story. One of the big plusses for all of us performers is knowing that we’re turning on a new generation of people to Broadway. People love it, and so they come.